Management and staff of New Haven Farm are a diverse team of professionals with a wide variety of skills and expertise in many fields. Their combined knowledge and skills of the Disability Industry is exemplary in quality. The team consists of both male and female staff members who work cohesively to provide the ultimate service to each individual encompassing all aspects of their life. As well as focusing on meeting the needs of individual’s we strive to provide a complete, holistic, structured service for each person. Jacques is New Haven Farm Home’s Chief Executive Officer. He commenced his role in December 2014, and since commencement, his main focus of attention has been on the redevelopment of our Service. In this process his efforts have been on the physical and structural redevelopment, but also, the administrative changes, the organisational transformation and the cultural adjustments, necessary to adapt to the new environment initiated by the introduction of the NDIS. Together with the Board and Management Team he is working to have a leading-edge, state of the art service, which provides high quality services to people with disabilities living in the Hawkesbury and Blue Mountains District. Jacques is trained as a Registered Nurse, and in addition to his postgraduate Nursing qualifications, he has a Bachelor’s Degree in Health Administration and a Masters Degree in Management. Jacques has worked in the disability sector for more than 20 years in a number of different positions. The last 14 years he was Managing Director of a Registered Training Organisation. Since beginning in April 2015 as New Haven Farm Home’s Operations Manager, one of Annette’s main focus areas is to provide management support to House Managers and support staff, facilitating the organisation in its entirety to ensure exceptional services of person centred support is provided to all clients. Annette’s dedication and commitment to clients and their families plays a significant role in the quality of service provided at New Haven Farm Home. 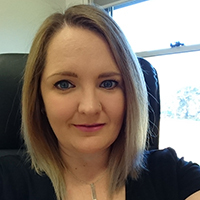 Annette has over 10 years’ experience working within the Disability Sector as well as holds a Bachelor Degree in Applied Science and additional certificates in sector based studies. Nicole began her role as New Haven Farm Home’s Relationship and Support Manager in July 2017, bringing over 12 years’ experience from the not-for-profit sector within marketing, fundraising and relationship development. This experience is backed by a Bachelor Degree in Communications as well as sector and leadership based certificates, and continued current studies to obtain her postgraduate qualifications in Psychology. Nicole is committed to growing New Haven Farm Home’s relationships and presence within the community, celebrating the achievements of clients, developing our systems and structures and supporting staff to provide high quality services to new and existing clients and their families. Fina joined the New Haven Farm Home in November 2017, bringing over 20 years of experience, knowledge and skills gained from Accounts, Office Management and Customer Service roles across diverse industries including construction, marketing, home improvements and the health sector. In her role as New Haven Farm Home’s Finance and Administration Officer, Fina is responsible for overseeing the day to day financial and administration operations and assists the Chief Executive Officer and Operations Manager in maintaining the company’s financial status and the implementation of new systems. Anne is the House Manager of Villas 1 & 2 at our Reserve Road site at Freemans Reach. Anne has over 20 years in the disability sector, gaining her Certificate IV as Enrolled Nurse at Marsden and Rydalmere Hospitals. Since her commencement at New Haven Farm Home in February 2013, Anne has achieved a certificate IV in Disability, as well as a Diploma in Community Service at distinction level. 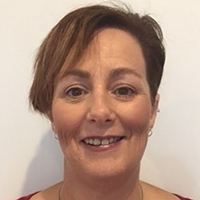 Anne was appointed as House Manager in November 2016, and has a strong commitment to providing person-centred support, encouraging clients to meet their goals and work towards achieving greater independence. Michelle is the House Manager at New Haven Farm Home’s 378 Windsor Street property. She commenced her employment with New Haven Farm Home in March 2012, taking on the role of House Manager in January 2015 after completing her Certificate IV in Disability and receiving a Diploma of Disability at Credit level. 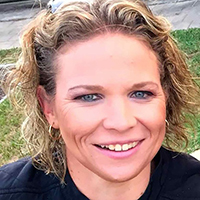 Michelle is committed to providing person centred support to clients, giving individuals the opportunity to participate actively in their community. She is dedicated to providing targeted support aligned to individual needs, helping clients to develop the living and social skills they need to become proficient in making decisions affecting their lives. 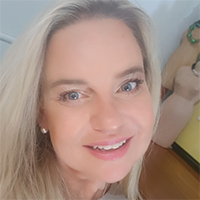 Michelle encourages clients to live as independently as possible, engaging in a range of social activities, hobbies, education and mainstream resources. Her approach to client wellbeing helps individuals develop skills, feel valued and lead rich and meaningful lives. Sharron is the House Manager at New Haven Farm Home’s Bosworth Street site in Richmond. 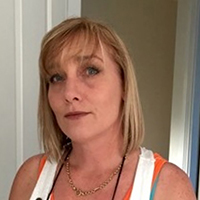 Sharron commenced her employment with New Haven Farm Home as a Support Worker in 2015 and progressed to the role of Senior Support Worker in 2017 before being appointed to House Manager in 2018. With over 9 years experience working in the Disability Sector, Sharron brings extensive and varied experience as well as an innovative approach to her role at New Haven Farm Home. 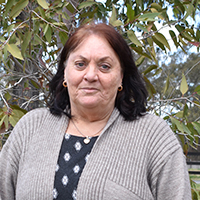 Sharron has several sector based certificates and is currently completing her Certificate IV in Disability. Sharron is dedicated to supporting all individuals at New Haven Farm Home to achieve their goals and is committed to enhancing the lives of people living with a disability through skill development and active participation in the community. Susan is the House Manager of Villa 3 and the Cottages at our Freemans Reach site. 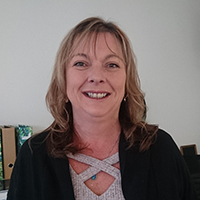 Joining the New Haven Farm Home Team in July 2018, Susan brings extensive knowledge and 30 years of experience within the Disability and Mental Health Sector to her role. Supporting this experience, Susan also holds certificates III and IV in Disability as well as a Diploma in Community Service and a Diploma in Special Education. Prior to New Haven Farm Home, Susan held roles in Community Justice and Behaviour Clinical Services. Susan is extremely dedicated to providing person centred support to people living with a disability. She is committed to supporting individuals as they develop their living and social skills and work towards achieving their personal goals. 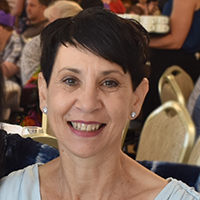 Susan is very passionate about ensuring people living with a disability are supported in the choices they make for their life, with every opportunity to belong and be valued within our community. Brendan joined the New Haven Farm Home team in April 2019 as the House Manager for our site at 55-57 Windsor Street, Richmond. Brendan brings a wealth of knowledge and experience to our team, with over ten years of experience in the Community Services sector, six of which have been in management and leadership positions. 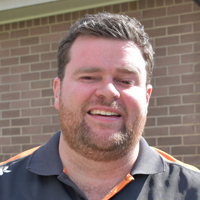 Brendan holds a Diploma in Community Services Coordination and a Diploma in Community Services. 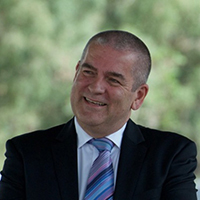 During his time in the Community Services sector, Brendan has managed programs and operations for various fields including: Mental Health services, Disability services (including NDIS specific services), Child Protection services and Family services. Brendan is passionate about person centred care, and is a strong advocate in supporting people to make informed choices. It is important to him that all New Haven Farm clients feel safe and confident, whether they are at home, or in the community. Betina initially commenced employment with New Haven Farm Home in 2013, following a successful career within the customer service industry. 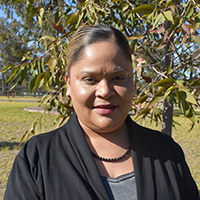 During this period, Betina has worked tirelessly to develop both her knowledge and skills within the Disability Sector, completing her Certificate IV in Disability and commencing further studies in regards to Leadership and Management. Betina is highly motivated to assist all people in striving to reach their ultimate potential. She has highly developed inter-personal skills, allowing her to provide an exceptional level of support across the organisation. In her role as Service Co-ordinator, Betina utilises innovative methods of providing person centred support to clients. Additionally, she actively supports staff to continually improve their overall efficiency and functionality. Since joining the New Haven Farm Home team in September 2017, Belinda’s focus has been to provide Executive Assistance to the Chief Executive Officer and Operations Manager. Belinda brings over 20 years of experience to New Haven Farm Home from roles including project coordination, personal assistance and all round office support. Her comprehensive experience paired with her dedication and attention to detail has allowed her to transfer her skills in providing both Jacques and Annette with extensive support in the day-to-day running of New Haven Farm Home.